2016 is going to be a remarkable and record year for cruise industry in Cherbourg! 6 926 guests went on shore excursions. The trend shows that the most popular destinations are: The D-day Landing Beaches and sites of memories, the Mont Saint Michel, marvel of the West and the picturesque Saire Valley. We welcomed 9 maiden calls since April: OVATION OF THE SEAS, REGAL PRINCESS, ZUIDERDAM, VIKING SEA, KONINGSDAM, SEA ADVENTURER, COSTA FAVOLOSA, HARMONY OF THE SEAS and NATIONAL GEOGRAPHIC ORION. 2 double stopovers were hosted: On the 3rd of May, the VIKING SEA berthed Quai de France and the MSC OPERA docked Quai de Normandie. The 30th of May, the cruise ships FTI BERLIN and PRINSENDAM were both Quai de France. 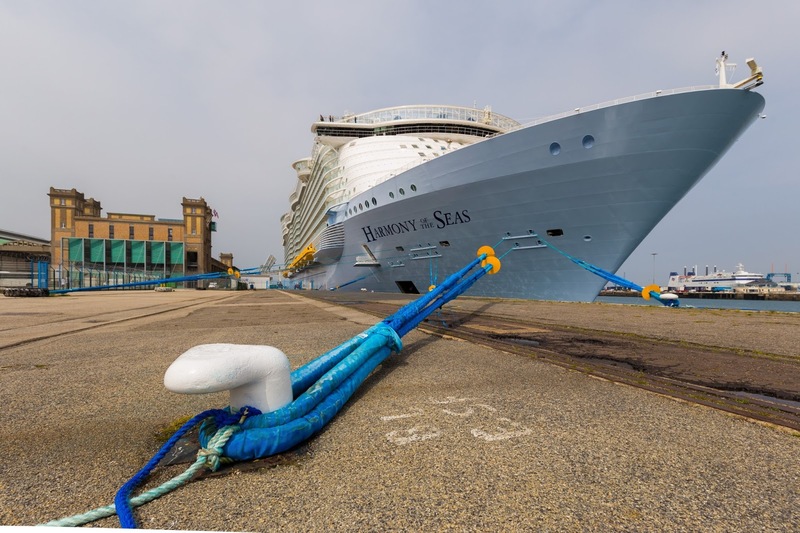 2 unexpected calls took place due to the sensitive context of the strikes movements in Le Havre Port: The KONINGSDAM stayed overnight from the 17th to the 18th of May and the ARTANIA make a stop in Cherbourg, the afternoon of the 6th of June. We record for the moment 224 embarking and 110 disembarking guests. The most heavily represented nationalities are: British (14 093 guests), Americans (7 607 guests), Germans (3 278 guests). 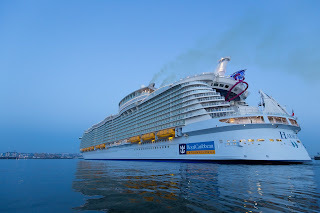 The most outstanding event since the beginning of the year is undoubtedly the highly anticipated call of the biggest cruise ship of the world: HARMONY OF THE SEAS. 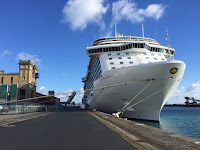 The 27th of May 2016, 5 250 for most British cruise guests and 2 317 crew members arrived in Cherbourg on the occasion of the pre-inaugural 4 days and 3 nights cruise of the ship. The Port of Cherbourg was the only stop of the voyage. Following the visit in February of Mr. Adam Sharp, Manager, Head of Port Operations and Guest Port Services in Europe for Royal Caribbean International, all the different players of cruise industry in Cherbourg were involved in making this call possible and welcome the giant of the seas in optimum conditions. For example, the Port Control, Port SAS, invested in two gangways structures, making possible again the access at the first floor of the very mythic Transatlantic Terminal and improving the flow of embarking and disembarking of the passengers. All the feedbacks were extremely positives, many delighted guests and a cruise line company that will renew her loyalty to the Port and Town of Cherbourg! 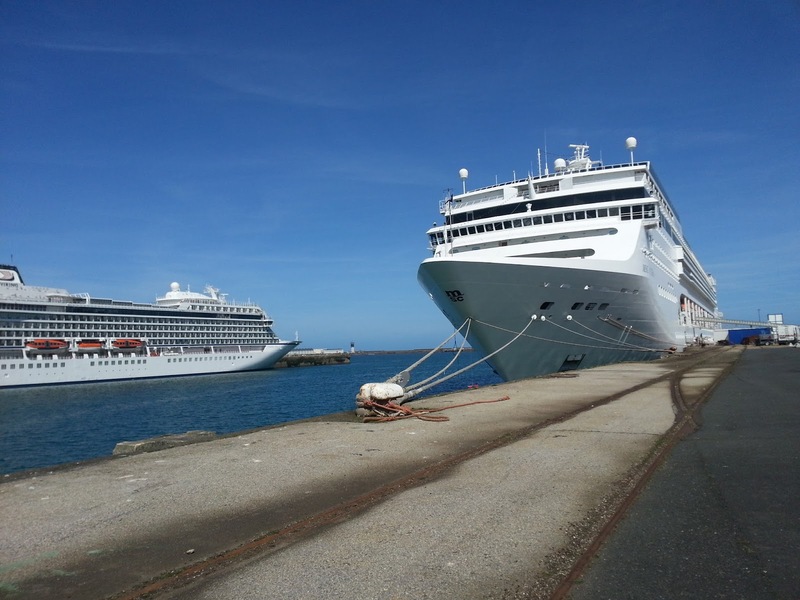 In September, cruises will start again in Cherbourg, 9 vessels are still expected, including 4 large units: the MSC MUSICA September 14, the CELEBRITY ECLIPSE October 2, the AZURA October 27 and the INDEPENDANCE OF THE SEAS October 29. What’s more, the much awaited return of the Cunard Cruise Line will mark the second part of the season with the call of the QUEEN ELIZABETH, October 2 (her last stopover in our port dates back 2012). Many enjoyable and qualitative calls are already announced for 2017. 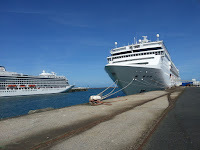 Cruise industry in Cherbourg is wealthy, and has many beautiful days ahead of her!